The ANZAC Memorial at the top of Mt Clarence, Albany. Soon after the outbreak of the First World War in August 1914, when troops were called to mobilise from both Australia and New Zealand, Albany – a tiny, unassuming town in south-west WA – was chosen as the unlikely locale for the biggest fleet the Commonwealth had ever assembled. When Henry Lawson visited Albany in 1890, he described it as a town that “will never change much – it is a pretty town, but vague. It seems to exist only in a somewhere-on-the-horizon sort of way”. But Mr Lawson was not to predict the events of October 1914, when the locals woke one morning to several large ships arriving into King George Sound to dock at the vast, sheltered Princess Royal Harbour. Not an unusual sight for a port town, one may think – except that these ships had on board thousands of troops bound for the First World War (by the time they departed, there would be 38 ships, 30,000 troops and 7000 horses in total). Thanks to censorship, no one had any idea they were coming. The scene intensified even more at the arrival of our New Zealand comrades, who met the Australians they would fight side-by-side with for the first time here. Surprised? 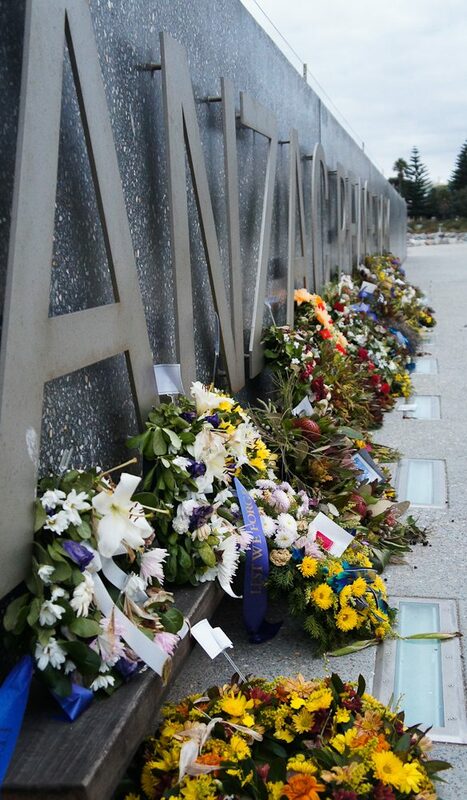 There is much to learn of Albany’s ANZAC connection. Here are 10 ways to do so. Wander along York Street and Stirling Terrace – the locations for daily marches, where some of the troops were given the chance to stretch their legs and escape the confines of the ships – and you can almost picture the extraordinary scenes that would have taken place here. There are recounts of locals, who largely embraced the arrival of the ships, presenting some of the men with sprigs of wattle as a memento of home, as they marched optimistically down these streets, waving their hats in the air in a celebratory fashion. Make sure you stop to look at photographs of such scenes, which are available at the Albany History Collection in the public library, as well as the Western Australian Museum. 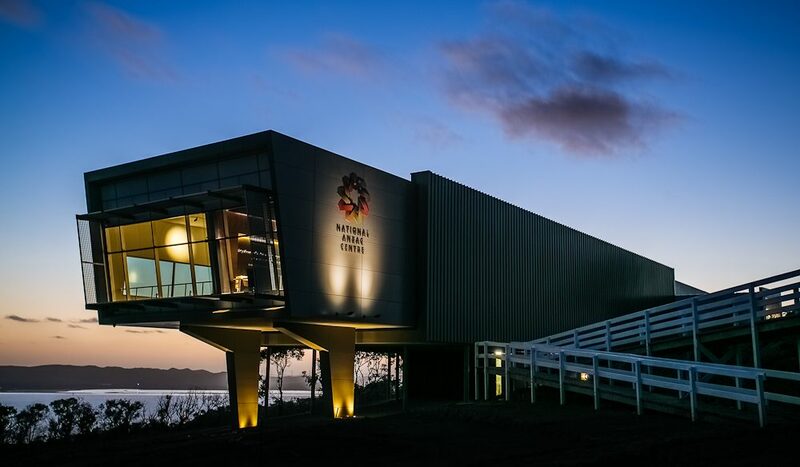 The first-ever dedicated ANZAC exhibition in the country will open its doors here on 1 November: the National Anzac Centre. James Dexter, director of creative and regional development for the Western Australian Museum, says it is intended to be the country’s premier destination to learn about the ANZACs, though “we are not seeking to glorify Australia’s military achievements,” he adds. “We are seeking to allow those who sailed on the first two convoys to speak directly to you.” That is, almost literally, the case: the museum will offer access to personal, never-before-explored stories of 32 Australians and New Zealanders on board one of the first two convoys, as well as the stories of a Turk and a German who were involved in the battle at Gallipoli. Visitors will be allocated one of these identities on arrival, learning of their personal story through the state-of-the-art interactive, multimedia exhibition. Stand in front of the granite wall here, eyes closed, and consider these statistics: from a population of fewer than five million, over 416,809 men enlisted in the First World War; over 60,000 of these were killed and 156,000 were wounded or taken prisoner. Banjo Paterson beautifully summed up our sacrifice as a young nation in his poem We’re all Australians now: “The mettle that a race can show is proved with shot and steel, and now we know what nations know and feel what nations feel”. Laying a wreath on the wall is a special way to pay tribute to those men and women who left from this very spot 100 years ago, and all those who have worn the Australian uniform in every battle since. The newly built Convoy Walk, officially opening alongside the National Anzac Centre, has 21 markers along its route, at which you can learn about the ships in the first and second convoys, including names, images and where they embarked their troops. The most moving feature of the walk is placed at its start at Mt Adelaide: Longing is an aluminium artwork, which features inscribed text from letters sentby Australian troops to their loved ones back home during the war. Did we mention Albany also has some pretty-as-a-picture scenery? A walk up to Mt Clarence showcases this, with a spectacular panoramic outlook to Princess Royal Harbour and beyond. 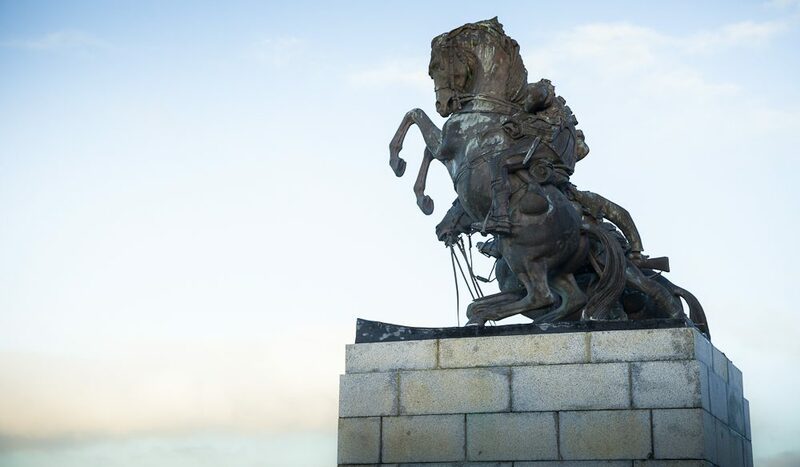 But also at the top – where the Dawn Service is held each year – stands the Desert Mounted Corps Memorial, a nine-metre recast of the original bronze statue that stood in the Suez Canal until it was destroyed in the war in 1956.It was resurrected in Albany in 1964 atop original granite blocks that still display bullet marks, as a tribute to the ANZAC spirit and that beloved notion of mateship. Although you can drive up to the site, you can also walk up the Avenue of Honour along the gum tree-lined road, each of which displays the name of a soldier lost at war. Also atop Mt Clarence is a lookout named after local icon Padre Arthur Ernest White, who, it is believed, held the first ever Dawn Service at this exact spot, on 25 April 1930. After serving as the chaplain to the 44th Battalion in the trenches of France, he returned to Albany and was appointed the Rector of St John’s Church (on York Street). After mass, he and a group of parishioners climbed to the summit of Mt Clarence to watch a boatman cast a wreath into King George Sound, as he recited those most revered words: “As the sun riseth and goeth down, we will remember them”. If you’re interested in Padre White’s story, you can head to the church to see his original chaplain war kit, alongside the church register that recognises his Dawn Service as the first. The channel between King George Sound and Princess Royal Harbour was renamed Atatürk Channel (after the Turkish wartime president Mustafa Kemal Atatürk) in a reciprocal recognition of our countries’ losses. (The beach at Gallipoli, where the ANZAC troops landed, has in turn been officially renamed ANZAC Cove.) 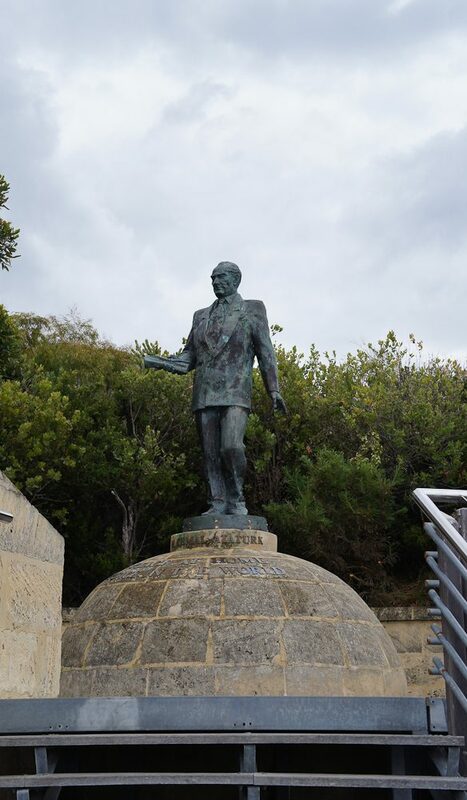 A statue of Atatürk, erected in Albany in 2002, is inscribed with the words he famously uttered at the 1934 Dawn Service: “There is no difference between the Johnnies and Mehmets to us where they lie side by side…” It is a moving sentiment to contemplate as you take the three-kilometre beachside boardwalk from here into town. 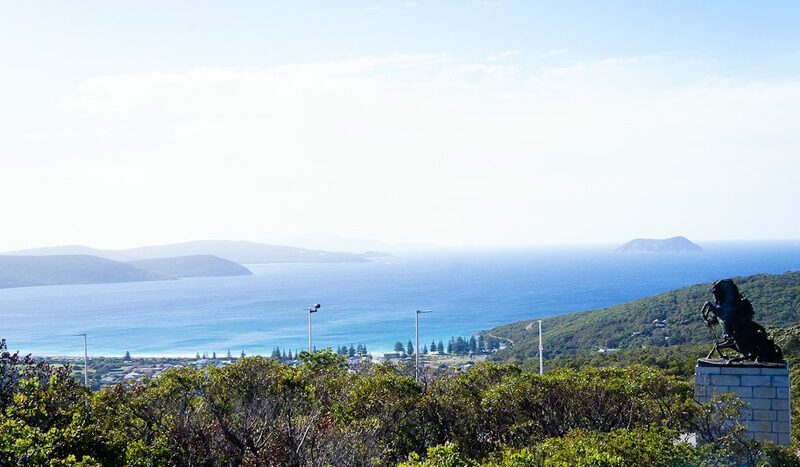 The trail has spectacular lookouts to the turquoise waters of King George Sound as it sweeps around the bay, taking in the area’s ruggedly beautiful landscape, passing through ANZAC Peace Park and ending at Stirling Terrace. Albany’s ANZAC story didn’t end when the first two convoys departed in November and December 1914; another 243 Australian and New Zealand troop and hospital ships called in both outward and homeward bound until 1919. Albany’s hospital treated the sick and the wounded aboard these ships, but sadly, some died and are buried at the Memorial Park Cemetery and also Allambie Park. John and Forrest Woodbury, owners of Albany Whale Tours, are significantly involved in ANZAC commemorations each year, running two free cruises at dawn and midday on ANZAC Day and on this year’s Memorial Day. “We don’t feel right charging people on such an important and revered day for Australians,” says John, who encourages all participants to consider what those on board endured, such as the less than hospitable weather, illness, minimal food supplies and problems with body waste. The tour also passes Breaksea Island, home in 1914 to 15-year-old Fay Howe, the lighthouse keeper’s daughter who signalled to the troops via morse code, thus becoming their last hope of getting messages telegraphed back home – an impressive mark on the ANZAC history made by one young girl. 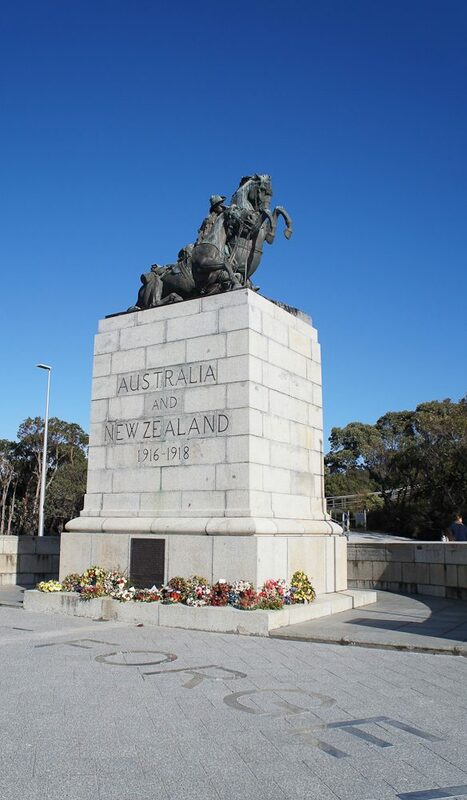 Free ANZAC tours are offered on a first-come, first-served basis – just call to book your place. On all other days, tours run twice a day during whale season (late May to October) when humpback and southern right whales are regularly spotted. $9 per adult; $55 per child; under four free. Of course, Canberra’s War Memorial still remains the centre for anyone seeking to understand Australia through the conflicts it has been involved in, but any Australian interested in the ANZAC story would appreciate a visit to Albany. The town’s program of events during the ANZAC Centenary will run from 31 October to 2 November, and will include the Royal Australian Navy Ceremonial Sunset, a lighting display in Princess Royal Harbour, a troop march, a commemorative service, a community concert, the opening of the brand new National Anzac Centre, a symbolic ship departure, and a ‘mess hall’ where market stalls and pop-up restaurants will take place, among other smaller events.